Evolence is a collagen based aesthetic Dermal Filler obtained from pig tendons, purified and used for dermal augmentation. It is administered via medical injection into the targeted areas. While Evolence itself is new, the technology behind it has been utilized for years in the treatment of heart valve malfunction and for other similar medical uses. Evolence works by plumping or filling in areas of the skin which have lost natural elasticity causing wrinkles or folds to form over time and with age. Evolence bonds with the natural collagen in the body which presents the surface of the skin with a more youthful appearance and healthier feel. Unlike other dermal augmentation options, Evolence and its GLYMATRIX technology uses natural sugar to achieve its function. What areas of the body does Evolence treat? Although highly medically suggested for use primarily in the nasolabial folds as well as within the marionette lines of the face, Evolence can be used for the general augmentation of wrinkles or deep folds in the skin on the forehead and hands as well. While Evolence is proven to perform well for the augmentation of soft tissue on the face, it is not suggested for use in the sensitive areas of the lips. A sister product, Evolence Breeze, is suggested for use in the dermal augmentation of the lips due to its finer texture. Evolence Breeze is not yet approved in the United States but is due to be approved within the next year. What are the advantages of using Evolence over other similar treatments? Whereas other Hyaluronic acid based treatments require further action again after six months, Evolence can last from six months to a full year without the need for further treatments. It has been noted that while other treatments can cause some significant bruising at the injection sight, the after effects of an Evolence treatment is shown to cause far less comparative bruising. Evolence and its close to natural collagen complex derivative GLYMATRIX, blends with natural collagen where other brands of dermal filler do not. An ideal candidate for an Evolence treatment would be any individual who, by way of aging, sun damage or smoking, experiences deep well wrinkles or folds on areas of the face considered the smile line areas particularly surrounding the nose or mouth. Other candidates are those who desire a more pleasing aesthetic to the hands where wrinkles along the backs of the hands and in between fingers may be prevalent. What is Evolence recovery like? Since the procedure is minimally invasive, the recovery after an Evolence treatment is generally fast and painless. 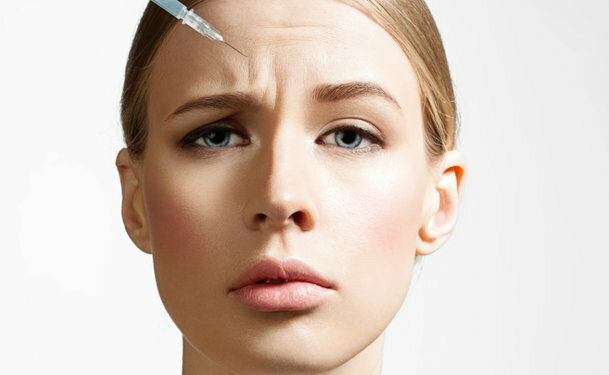 With reports of minor swelling at the injection site accompanied by minor irritation and redness, the recovery from an Evolence treatment is considerably easy. What are the results of an Evolence treatment like? An Evolence treatment will result in the erasure of small lines and deep wrinkles of the treated areas. Since Evolence is formulated to combine with collagen which naturally exists in the body, a smoother texture and firmer appearance is achieved with minimal reaction and recovery time. What are the risks in an Evolence treatment? While there are risks involved in any medical procedure, those relating to an Evolence treatment are notably small. The most serious complication reported in conjunction with an Evolence treatment is the development of small nodules formed beneath the skin which can be felt with minor pressure. Is Evolence approved for use within the U. S.? First offered and performed in Europe, Canada, Israel, South Korea and Russia in 2004, Evolence was FDA approved in conjunction with physician training in the United States in 2008. Is Evolence covered by insurance? While medical insurance generally will not cover the cost of what is considered to be an elective procedure, some costs may be covered if Evolence is used for the specific treatment of a medically crucial need.